I love weddings. Smiling faces, happy tears, white dress, flowers, everywhere, dancing, true love … *sigh*. But even the best wedding I can imagine won’t be as wonderful as the heavenly wedding after Jesus Christ returns to claim His bride. We’re fast approaching the fall holy day season. Yom Teruah/Feast of Trumpets is on Monday, September 14. It’s the day that pictures Christ’s triumphal return, which closely connects it with His marriage. In the marriage customs of Christ’s day, at least among the Jews, there were strong parallels with God’s plan. After a betrothal ceremony, the bridegroom went away to build a house. In the mean time, the bride got ready and watched carefully because she wasn’t sure when he’d show up again. The timing depended on the bridegroom’s father saying the house was complete and the bride’s father agreeing that the bride-price had been properly paid. Jesus told His disciples He didn’t know when He was coming back — that was something only the Father could decide (Matt. 24:36; Mark 13:32). He did, however, tell us what He’d be doing in the mean time. Christ’s house-building functions on two levels. 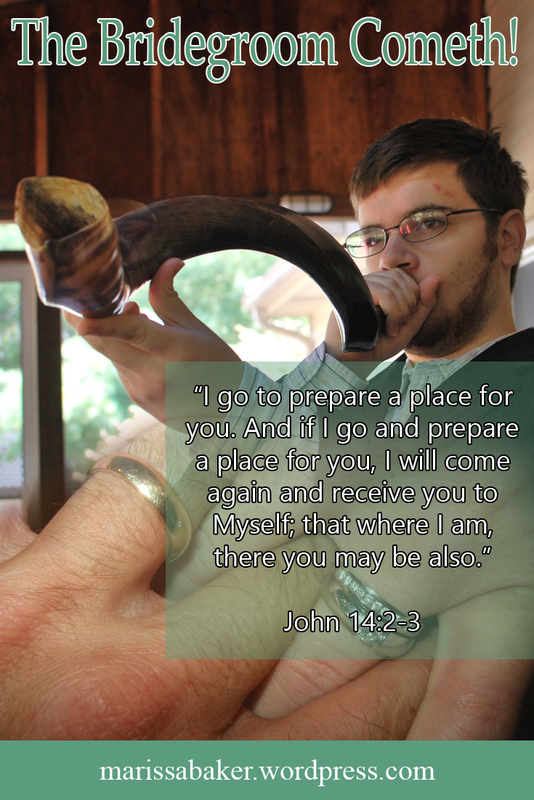 One is mentioned here – His preparation of a dwelling place for us in His Father’s heavenly realm. Another involves us more directly. We just spent the past four weeks talking about our status as God’s temple, how we can build up each other, what obstacles we face in temple building, and how to clean a spiritual temple. The common thread in all this was the key role of Jesus Christ as Foundation, High Priest and chief Builder of His temple. We are built on and in Jesus, by Jesus, so we can be fit dwellings for God. While He is preparing a place for us, He is also preparing us to dwell with and be indwelt by Him and His Father. Still, He isn’t the only one working on getting the Bride ready. This verse describing the bride as “ready” is in the future. Since that’s the case, the Bride today should have started preparations if she wants to be ready by the time this marriage takes place. Yet how can we possibly prepare to marry Jesus? How can we hope to be a suitable helper for Him? Well, we couldn’t if all this preparation was done on our own. We have to work on ourselves, but that’s all made possible because God is working in us. Since He’s already adopted us into His family, He fills the Father-of-the-Bride role as well as being the Bridegroom’s Father. 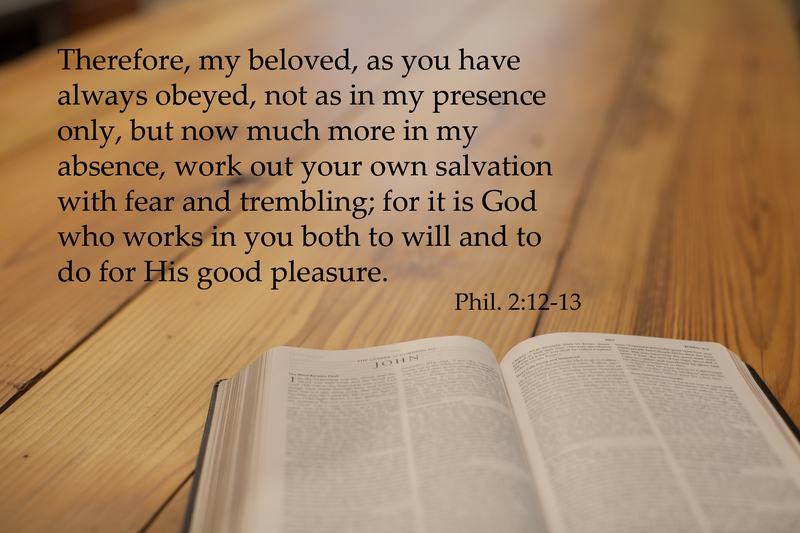 Paul wrote to Timothy that if we purge ourselves form ungodliness and iniquity, then we’ll be “a vessel for honor, sanctified and useful for the Master, prepared for every good work” (2 Tim. 2:21). That’s what we want to become — purified for use in the temple and prepared to do good works. The time between formal betrothal and when both fathers gave the go-ahead for the groom’s return could stretch into years. Like some of those ancient brides, the church has waited a long time for her groom to come back. We know He’s coming, and we’re working on getting ready, but are we waiting eagerly for Him? Do we anticipate His arrival? Now we get to the part involving trumpet blasts — they signaled the bridegroom’s return in an unmistakable sign that he was close at hand. It’s enough to wake you up, but doesn’t give you enough time for panicked last-minute preparation. If you aren’t ready when the trumpet sounds, you miss His arrival. Once He’s here, we’re out of time. Either we’re ready to go with Jesus into the wedding feast, or we’re left outside like the five foolish virgins (Matt. 25:11-13). This is what Yom Teruah — the Feast of shouting and trumpet-sounding — pictures. It’s a yearly reminder for the Bride of Messiah to get ready. Your Bridegroom is coming! Do you hear the trumpet?